Tired of not being able to find the perfect gloves to match your ensemble? Are you frustrated by few choices of style and the poor fit of off-the-shelf accessories? 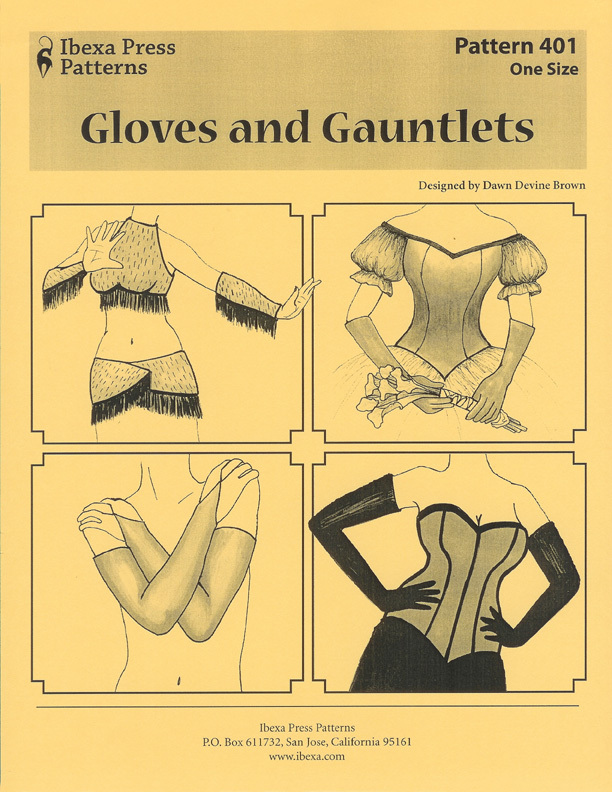 Gloves and Gauntlets, the first pattern from Ibexa Press, can serve as your guide for creating custom designer gloves and arm wear to accompany your next outfit.This pattern is an excellent addition to the collection of historical re-enactors, wedding seamstresses, costume designers, belly dancers – anyone who needs a custom pair of gloves! 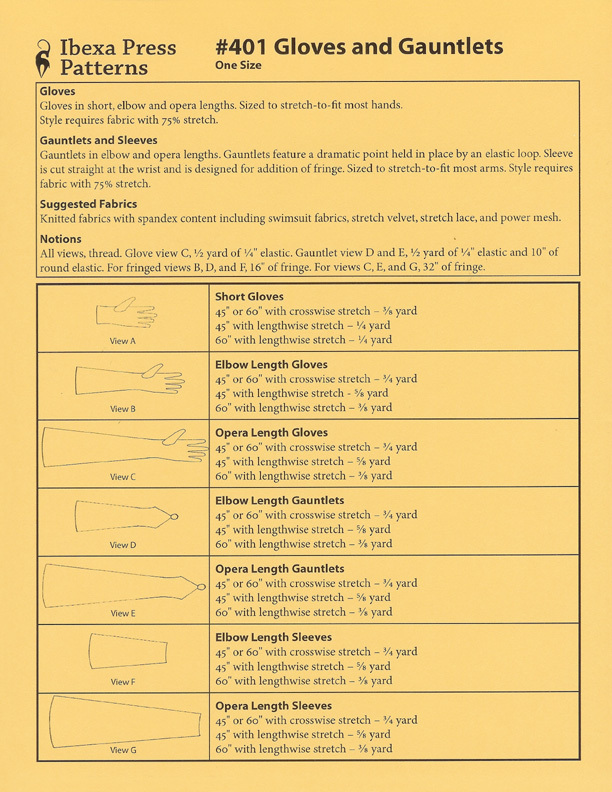 Gloves and Gauntlets contains variations to make short (wrist length), elbow-length, and opera-length gloves, gauntlets, and sleeves. The glove pattern has flanges for the fingers and a set-in thumb that contours to the hand. Sleeves and gauntlets are tapered to fit the arm with directions for making a pointed end with a finger loop, or a neat cuff. Glove and Gauntlets pattern includes full directions for construction along with ideas for how to attach fringe and other embellishments. Printed on sturdy paper in the USA. Dawn Devine is a costume historian and belly dancer living in California’s San Francisco Bay Area. She has been dancing for over fifteen years and has been designing historical costumes nearly all her life.